Gone are the days when only television channels used to stream sports live. Internet has changed the system of live broadcast entirely. You can now watch any live event on the web as many online sites broadcast live sporting events. The sports bookmakers or betting sites are those online bookies that stream live sports events and also accept bets for that game to add more fun to the game. There are many online bookmakers that offer live streaming and it is telecast according to the country jurisdictions around the world. Also these sites offer live in play betting and other offers for the viewer. 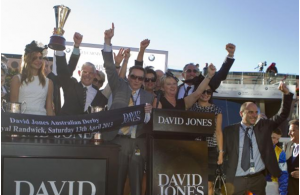 Online streaming of horse racing by sports bookies for Aussie punters are many. You can watch your favourite race on their mobile app with your smartphone or on your PC screen or tablet. You get the live odds, you wager and bet as well as watch the race simultaneously on such sites. The two best and hassle free Aussie sites to watch an bet live streaming thoroughbred races in Australia are Crownbet and Sports bet. The live streams provided by both Crownbet and Sportsbet allows Aussie punters to view Victorian metropolitan and provincial thoroughbred racing, with the bookies having partnered with Racing Victoria to bring their punters the action live from the track, with commentary provided by racing.com. Recently William Hill popular international bookies was acquired by Crown bet. All you need is good internet connection or WIFI to get the live streaming run your devices smoothly. How to watch live streaming of races at Crown Bet? Now click on the ‘join now’ option at the top of the screen. From there you will be directed to fill out your personal details to create your account with all your privacy maintained. This bookmaker offers the highest standards of encryption software to keep your details secure. Once you have filled in your information and created your account you will then be prompted to add some funds to your online betting account. 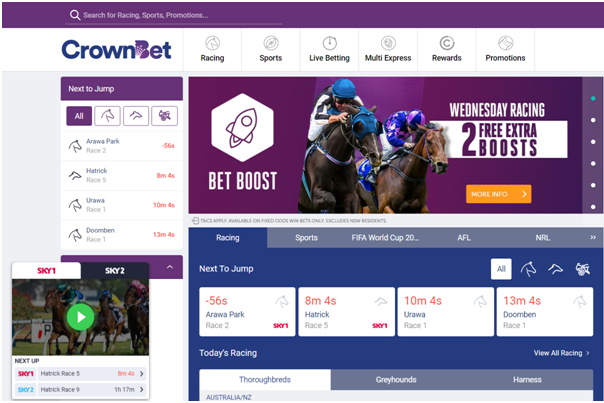 While this is not a requirement to view racing with Crownbet, the bookmaker have some excellent sign-up deals for punters, giving you up to hundreds of dollars in free bets when making your first deposit. Once you have cash in your account and have placed a wager on a Victorian race of your choice, it’s time to tune into the live-stream and cheer on your chosen runner. As an official partner of the AFL and with wagering’s most advanced mobile app, CrownBet gives you superior odds and daily Bonus Bet specials across a variety of sport and racing events. You can also watch live vision of all Victorian thoroughbred races throughout the entire year season. With the CrownBet Card get instant access to your winnings with your card. A Visa PrePaid card linked to your CrownBet account to make your betting experience seamless, which can also be used anywhere in the world where Visa is accepted. On top of this, CrownBet has a world-first Rewards Program which allows members to earn loyalty points on every bet placed. Points can be redeemed instantly for items including tickets and hospitality at AFL matches, The Australian Open and Melbourne’s Spring Racing Carnival, as well as exclusive VIP travel packages such as our Hong Kong Happy Valley and Sha Tin Racecourse experience. How to watch live streaming of races at Sports Bet? To watch live streaming of races at Sportsbet visit the online bookie with their mobile app on your smartphone or simply visit on your PC. From there you will be directed to fill out your personal details to create your account with all your privacy maintained. Like Crownbet this bookmaker also offers the highest standards of encryption software to keep your details secure. Once you have filled in your information and created your account you will then be prompted to add some funds to your online betting account. While this is not a requirement to view racing with sportsbet, the bookmaker have some excellent sign-up deals for punters, giving you up to hundreds of dollars in free bets when making your first deposit. Additionally, if you have missed watching a race live or just want to re-live a massive win, Sportsbet also provide replays of all races. The live stream includes racing at the three main tracks within Victoria, Flemington, Caulfield and Moonee Valley, as well as the flagship events held at each race during the spring, the Melbourne Cup, the Caulfield Cup and the Cox Plate. Members, when in Australia, have access to live or near live digital feed of the Victorian thoroughbred racing industry race coverage (‘Live Feed’), when logged into their account, for their own personal viewing. Members can also access replays of the Live Feed until midnight on the relevant race day. The Live Feed is produced and owned by RVL Media Pty Ltd. And Sportsbet cannot guarantee Live Feed will be available for all Victorian thoroughbred race meetings held at a TAB race meeting conducted by a Victorian Race Club. Bets placed on Live Racing markets will be listed in your account history as the price type ‘Live Fixed Win.’ Deductions may apply on Live Racing markets when any individual selection(s) is declared a non-runner. However, if the horse declared a non-runner is not individually listed but included under ‘The Field’ option no deductions will apply to winning bets. 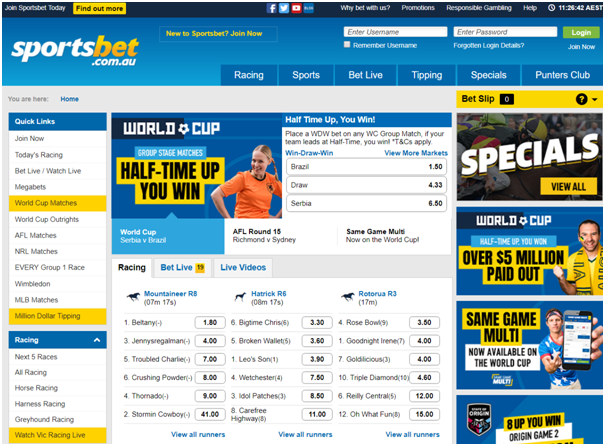 Sportsbet states that it shall not be liable for any interruptions to televised coverage or connection errors experienced by the customer. Furthermore, Sportsbet accepts no responsibility for races described as ‘live’ by any broadcasters that may actually be delayed or pre-recorded. In the result of an interruption to the broadcast all Live Racing markets will be suspended but any bets already placed will stand. If a market is not scheduled to offer Live Racing but Sportsbet fails to suspend the market at the relevant time, then all bets accepted after the official ‘off’ time will be void. The Live Racing market is signified by the yellow ‘BL’ icon visible in the racecard. Also protest Payouts do not apply to Live Racing Bets, and bets will be settled on official placings. In case you have issues you can contact the help support 24.7 with phone Racing Betting Line: 1800 132 387 Sports Betting Line: 1800 138 238 Customer Service: 1800 990 907 or with a live chat option. 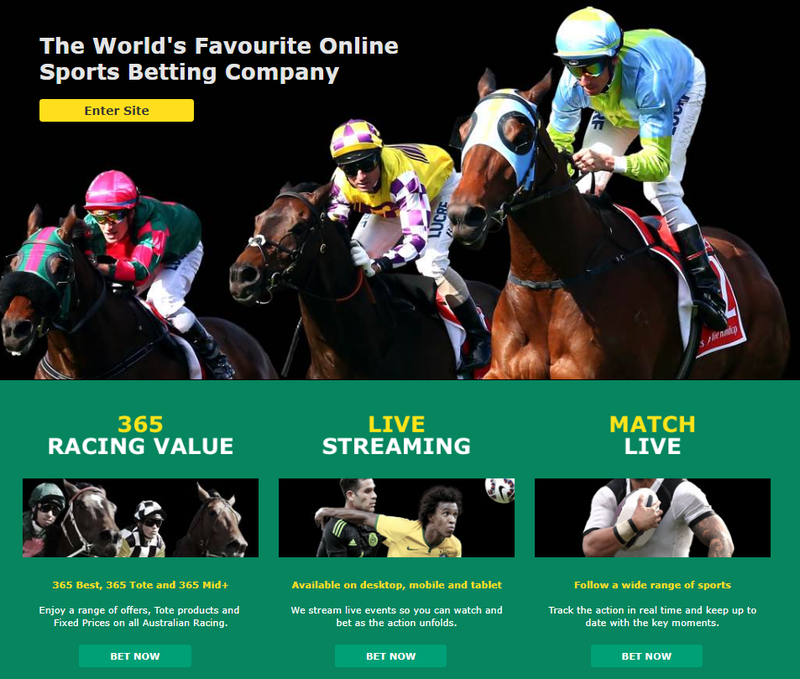 Besides these two online sportsbookies you can watch live streaming races and sports event from Australia at Betfair, Paddy Power, Bet365 and few others. Before you begin to watch the live streaming of races remember to have flash enabled on your device.